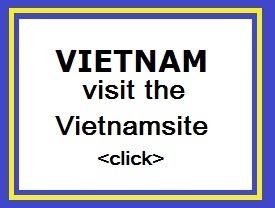 Stung Treng is a northern province of Cambodia and the capital has the same name: Stung Treng. It is located in the western part of the Virachey National Park.It is the major city (and capital) of both the district and province and has a population of 30,000. 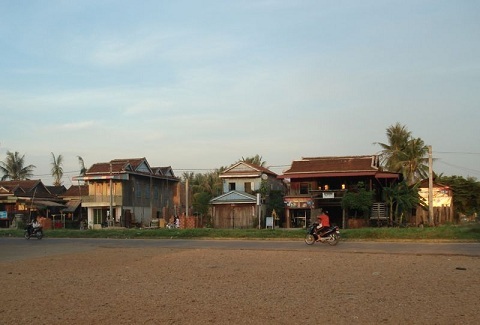 Stung Treng town nestles on the banks of the Sekong River, a tributary of the Mekong River. Due to its border status, there is a crossover of culture with both languages spoken quite fluently and a mix of both Lao and Cambodian foods and lifestyle traditions. There is not much to do in the town itself, except to relax by the river. The weather is much cooler in the mornings for a trip to the market or to wander through small lanes and streets. The capital is an important trade hub with a few hints of Lao influence scattered about, owing to the fact that the Lao border is about 50 km away. 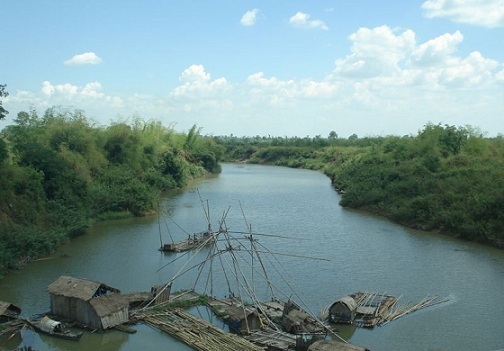 Stung Treng lies along the National Highway 7, about 400 km from Phnom Penh. It's a friendly, quiet country town situated on the confluence of the San River and the Mekong River. A bridge connects the city to the other side of the river. Stung Treng is located on a high sandy bank overlooking the Mekong River, where it is joined by the Se Kong river. The San River goes by three names, depending on which of the locals you speak to. Some call it the Kong River because the San and Kong Rivers merge together about 10 km northeast of Stung Treng town, confusing people about which name the river should bear. Others call it the Sekong River, which is the combined name of these two rivers. Whatever name the fiver beside the town goes by, it's another one of Cambodia's beautiful picture-postcard river towns. It's a nice place to kick back and chill out if you are on a circuit tour of the Northeast River Scene, from here to Laos. The San River is fronted in Stung Treng by a nice stretch of paved road. It's the centre of socializing (as in most Cambodian river towns) in the late afternoon and early evening hours as the locals ride up and down the stretch enjoying the view and each other. Drink and dessert stands spring up earlier to serve the daily merrymaking crowd. It's a nice spot for a walk or jog any time of the day as the river road turns into a pleasant rural road that leads to the airport 4 km north of town. The river port area just in front of the small city park is fairly busy, handling trade between Cambodia and Laos. The ferry across the San River to where National Highway No 7 continues north to the Laos border is also at this pier. The fare is 300 riel per head. We went for a ride on this stretch (2,000 riel for taking a big bike on the ferry), but there is not much to see along the way besides light jungle and some remnants next to the road that was a target of carpet bombing during the Vietnam War years (the road was recently overhauled and is now one of the best in the country). The road works its way eastward so it does not afford views of the Mekong River as one would hope. The few residents we saw along the way were truly amazed to see the likes of us, who would want to be there. As it is quite common in Cambodia even small cities, such as Stung Treng has at least one bigger market. You may also find a market in Stung Treng centre, which is a bustling place, selling goods from Laos, Vietnam and, of course, Cambodia. There is also a small night market that sets up on the southwest side of the market, and there are also small drink and food market shops near the Preap Son Guesthouse on the opposite side of the market. To take something special from this province along, buy some precious handmade weavery. There is a tourism office east along the river road from town, but it's often closed and there's no real tourism industry to speak of, other than a few guys who've figured out what foreigners like to do. Your best bet for information and improvised boat trips to see dolphins or take a motorbike trip north into Preah Vihear is to stop by Riverside Guesthouse and talk to the guys who hang out there. The main pastimes are boat trips and watching the sunset -- both of which are worth doing. One-hour boat trips leave from the dock in the centre of town and cost $15 per person, or $25 for a whole boat. There are some home stay options as well as joint boating/trekking trips to nearby temple ruins, one of which dates back to the pre-Angkorian Chenla period. Trips vary according to who's around to guide you, so ask at Riverside and other guesthouses.